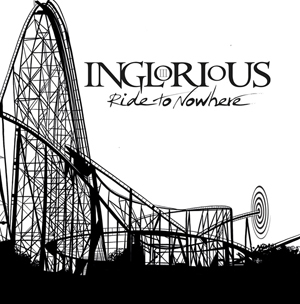 Frontiers Music Srl are delighted to announce the release of Ride To Nowhere, the third studio album by INGLORIOUS on January 25th 2019. The debut single from the album, “Where Are You Now?” is released on the 18th October 2018 and you cana watch the video on KNAC.COM HERE. In amongst their touring commitments, INGLORIOUS spent 2018 writing and recording their third studio album, Ride To Nowhere. A much darker, more reflective album than their previous releases, the new songs further hone the INGLORIOUS sound – the pulsating rhythms, driving guitars and infectious vocal melodies. From the body blow riffs of the first single “Where Are You Now?”, to the beautiful melodies and bluesy overtones of “I Don’t Know You”, from the assault of “Freak Show” to the acoustic ballad “Glory Days”, Ride to Nowhere is an absolute gem of an album, showing not only all the influences from iconic rock albums of the 70’s, but also offering the band’s own sound and interpretation. As with INGLORIOUS II, the album was mixed by the legendary Kevin Shirley (LED ZEPPELIN, AEROSMITH). All vinyls are gatefold sleeve. Late 2018 will also see Nathan James star in Jeff Wayne’s The War Of the Worlds as “The Voice Of Humanity” – he was personally picked by Wayne for the role. The version will run throughout the UK in November and December www.waroftheworlds.com.